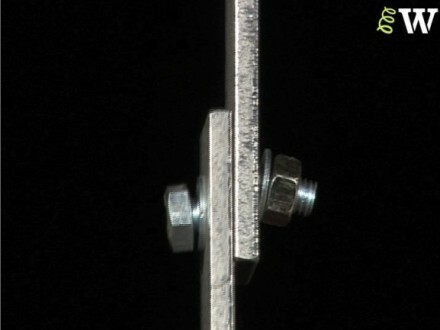 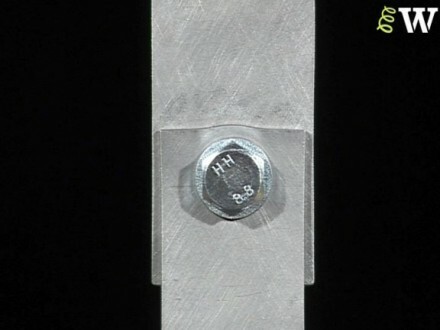 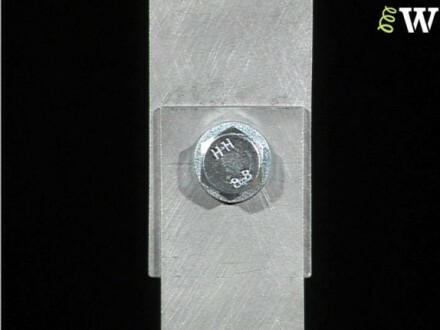 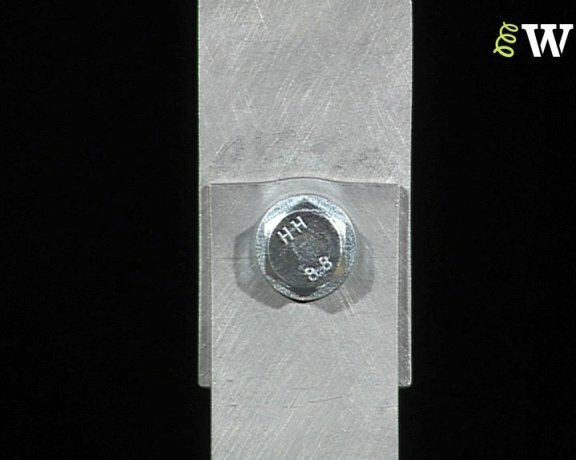 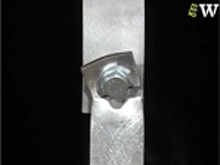 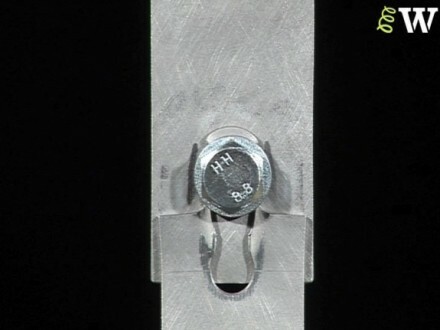 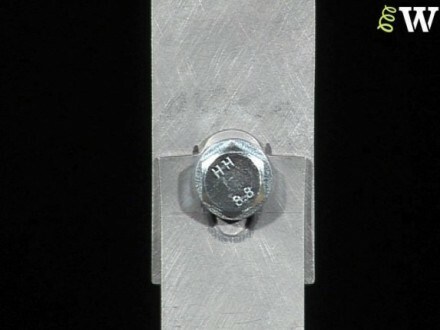 This video shows a bolted connection where the connection plate fails in shear. 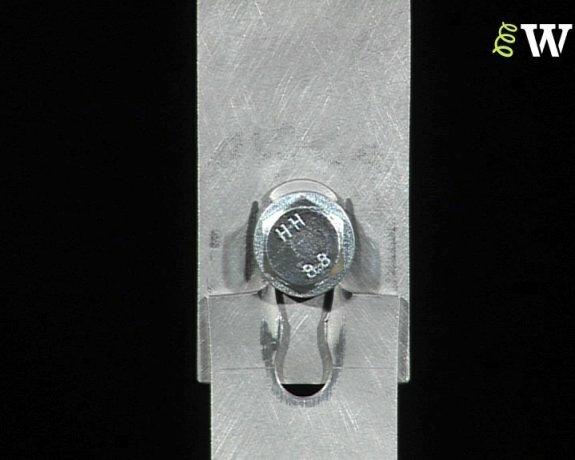 Gradually increasing deformation can be observed in the plate above the bolt. Immediately prior to failure, distinct ‘necking’ points can be seen as the plate experiences a local tension yield.